Dr. Amy Gottlieb, Senior Strategic Information Technical Advisor, is currently working for USAID/South Africa supporting PEPFAR programs. She formerly worked at USAID/Vietnam in their Office of Public Health providing technical support for HIV/AIDS and Avian Influenza Programs, with an emphasis on Health Information Systems. Amy Gottlieb received her PhD at the University of Texas at Austin, specializing in Knowledge Management. More specifically, her research examined how data and information transfer to knowledge and decision-making within the organization. As part of her research, Dr. Gottlieb helped develop and implement Health Management Information Systems for the Bureau of Chronic Disease Prevention (including systems for Tobacco, Diabetes, Obesity and Cardiovascular Health and Wellness) for the Texas Department of State Health Services to help manage its contractors, to coordinate prevention efforts, to identify programmatic gaps, and to improve state-wide evaluation efforts. She worked for the Centers for Disease Control and Prevention (CDC) in their Global AIDS Program/Malawi as a Monitoring and Evaluation Technical Advisor. While there, Dr. Gottlieb spearheaded Health Information Systems (HIS) strengthening activities, including the development of the National Standards Technical Working Group and the coordination of a national roll-out of electronic data systems for managing patients on antiretroviral therapy. She also worked as a consultant for the CDC in their Office on Smoking and Health and conducted a national assessment of Web-based reporting systems for tobacco control programs. This study provided an accurate depiction of where states were in the development process of Web-based reporting; examined the types of systems being created; defined the kinds of information being collected; and explored how data are being used. Amy received her Masters degree in Public Health from Emory University’s Rollins School of Public Health. While gathering research for her thesis, she worked in Bolivia evaluating one of Pan-American Health Organization’s new water sanitation modules. While there, she carried out bi-weekly epidemiological surveillance, tested source and stored water for bacterial pathogens, and developed and administered a questionnaire to quantify community satisfaction, implementation, and use of the sanitary modules. 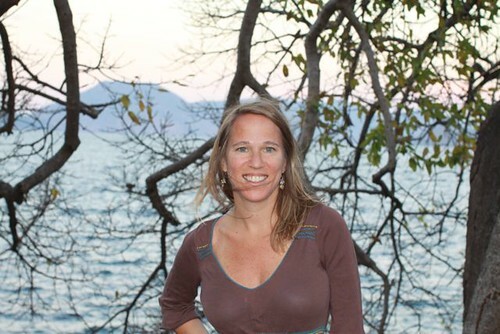 Amy served as a Peace Corps volunteer in rural Jamaica as an environmental educator and as a community developer. She taught environmental science, spearheaded an AIDS awareness campaign, and introduced a new sport, the triathlon, to enhance community development, generate income, and promote healthy lifestyles. After moving to Austin in 2000, Amy worked for Motorola as a strategic programmer in their Environmental Health and Safety (EHS) Division. She was responsible for tracking all EHS data for Motorola’s world-wide semiconductor products sites and for writing their technical environmental annual reports.